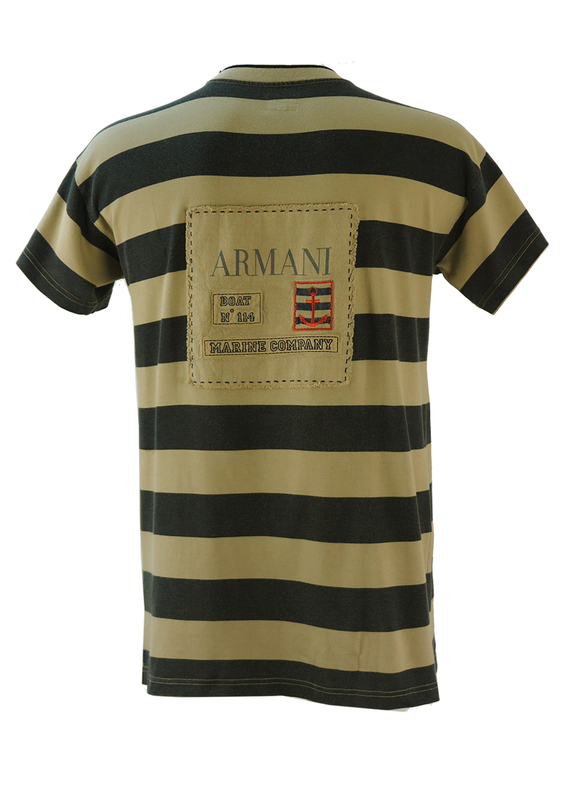 Armani beige and black striped T-shirt featuring a large canvas applique design on the back with a nautical theme that’s further embellished with large blue stitching detail. 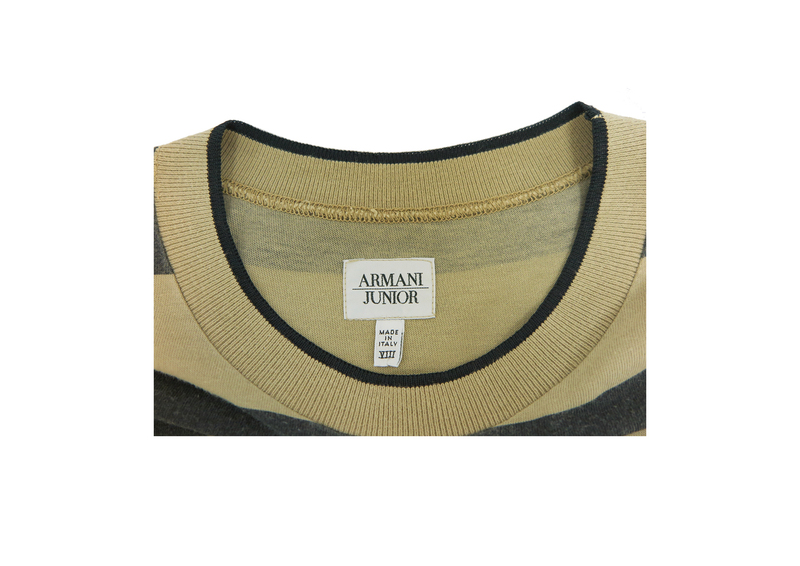 The label is Armani Junior (size 8) which we have equated to an adult size M. Please refer to our measurements for further sizing guidance. 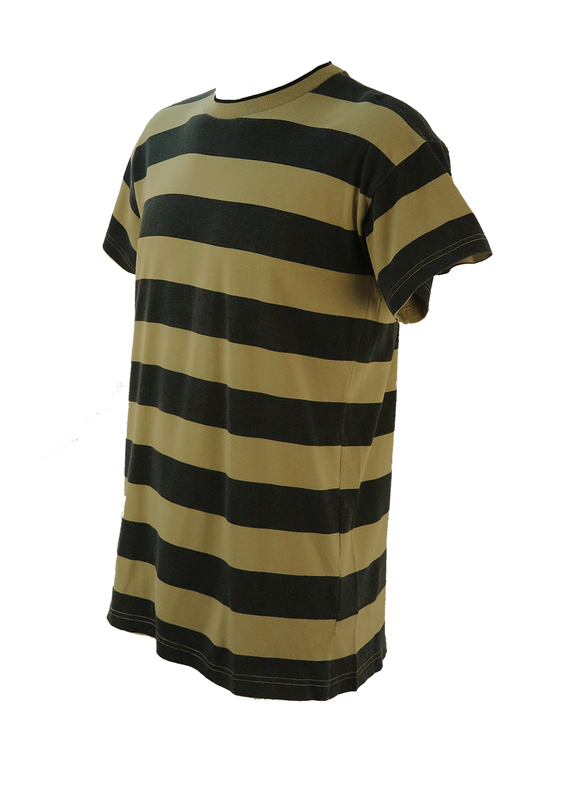 There is some minor wear to the fabric (more noticeable on the grey stripes) in line with standard wear & a very small part of the hem on the right (approx 1cm) has been re-stitched though it is barely noticeable. 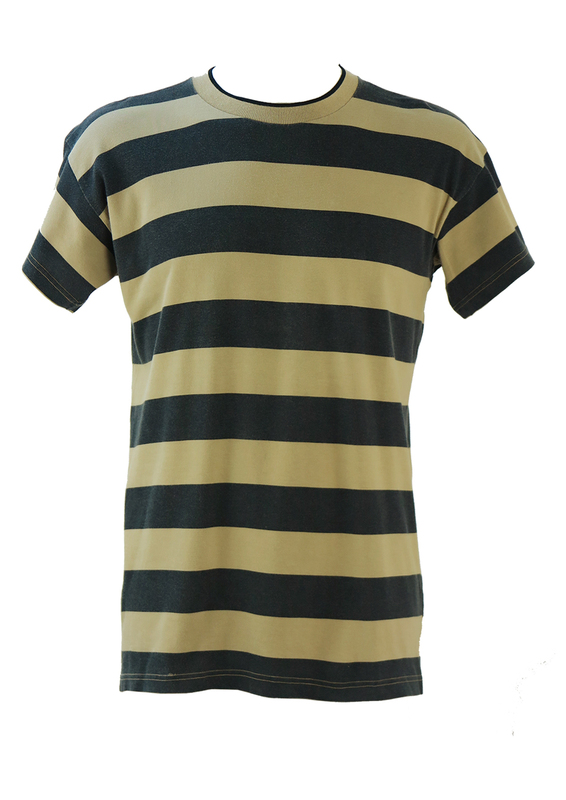 We have however reduced the price from £25 – £20 to allow for this. 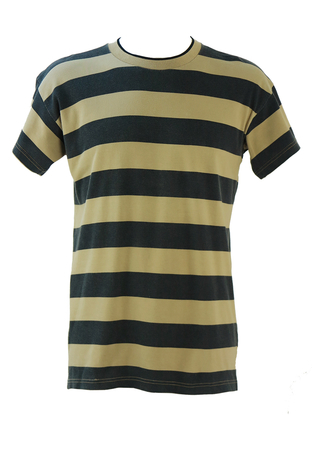 The T-shirt is otherwise in excellent condition.